Thank you all who entered last week’s giveaway! Remember, this is the season of giving and to show my appreciation for each of you, I am hosting three giveaways this month. This week begins the second giveaway and I think you are going to love it! Beyond accessories, I have a special place in my heart for shoes. Nothing completes an outfit like a great pair of shoes. With that said, I’m happy to announce that this week’s giveaway is sponsored by Heavenly Soles! One winner will win a pair of shoes of their choice from Heavenly Soles. 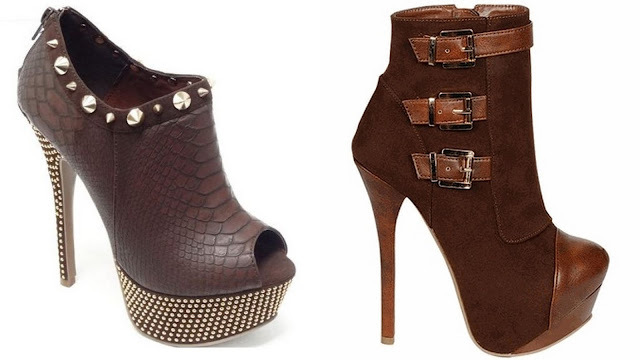 Heavenly Soles carries the latest in high fashion, trendy ladies footwear at fabulous prices. We are dedicated to providing top quality, trend setting, and a diverse variety of ladies footwear! There will be one winner. Open to US Readers Only! Must complete all mandatory entry requirements below through Rafflecopter. You will be disqualified if you do not do the mandatory requirements. You must have Facebook and Instagram to enter this giveaway. Giveaway is open December 9 until midnight, December 15. Please remember that certain sizes may not be available in each style of shoe. The winner will be announced Sunday, December 16. God bless & stay fabellis! I have been eyeing those DaVinci's for a while! Great giveaway! :) I love the Robin pair! That red is hot! Thank you so much for sharing this giveaway with your readers! I love the London and Autumn pair! Holy Moly!!! Heavenly shoes are coming my way lol!! Thanks for the giveaway, what an awesome prize! Love, love, love the "Onyx"
Thanks for sharing this giveaway! I just love Mercedes in an 8.5. That shoe is GAWGEOUS! lol. I would love to win the White & Black Open Toe Pump with red accent in a size 7! and wholesale cooperation business model. whiteboard at your office- then we should talk!